In the Files section, click on FTP Accounts. 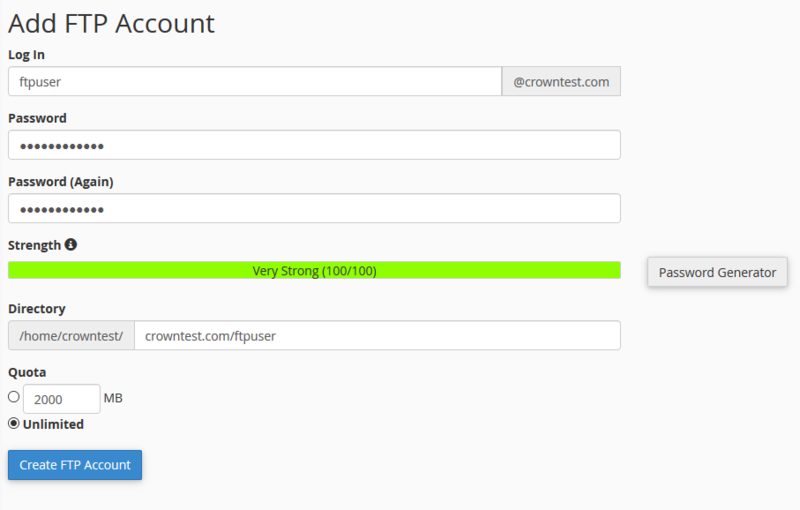 Once a new account is created, it will be listed under the following section. By clicking on the "Configure FTP client", You can view the settings for connecting to your account. Done, you have now created an account for FTP connections.